Halloween is hotter than ever with adults, according to the National Retail Federation which indicated that more than one-third of adults are planning to attend or host a Halloween party this year. 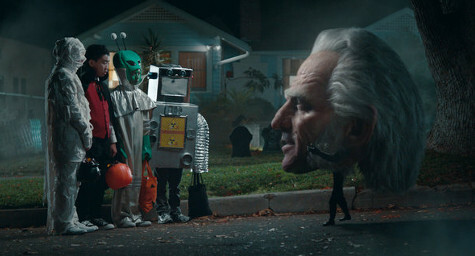 Adults clearly want to participate in this year’s frightening fun, so candy brands have increased their Halloween marketing in an effort to appeal to this much larger audience. The New York Times reported on how candy brands and even non-candy companies are introducing new Halloween marketing promotions, products, and packaging to take advantage of the growing enthusiasm for the haunted holiday. Hershey, Mars, and Just Born are just a few of the major candy brands that have been developing new TV commercials, products, and packaging to reflect both Halloween and the general autumn season. Hershey plans to introduce ten brand-new candy products this year, which is almost twice as many as in 2011. The company is also updating the packaging for its existing candy brands to focus more on fall than Halloween. While Hershey is still using seasonal packaging with the traditional orange and black colors of Halloween, they also plan to package their candies in wrappers evoking the colors and activities of autumn. This is part of the brand’s marketing strategy to remain relevant—as well as full price—long after Halloween is over. Mars Chocolate’s SNICKERS brand has been airing new TV commercials that give a Halloween twist to the candy bar’s ongoing marketing campaign. Just Born Candy, which makes the popular marshmallow PEEPS, is known for crafting its candies to reflect a variety of holidays and seasons. With a full 30 percent of PEEPS sold for use in recipes and art projects, the candy brand has devoted a special section of its website to holiday-themed recipes and craft ideas. Not surprisingly, even non-candy brands want a piece of the Halloween pie. General Mills has brought back its discontinued Count Chocula, Boo Berry, and Franken Berry cereals. Kraft Foods’ JELL-O brand is selling molds to make spooky gelatin creations and PepsiCo’s Frito-Lay brand has more in-store promotional displays related to Halloween than ever. In an effort to position their treats as ideal for trick-or-treaters, Quaker is selling boxes of smaller granola bars and Clif Kid ZBar is highlighting its health claims on package labels. With consumers eager to celebrate Halloween and the fall season, it looks like candy brands are in for some sweet sales all season long. To leverage an integrated marketing strategy to increase awareness of your candy brand and drive sales, contact MDG Advertising. MDG Advertising, a full-service Florida marketing firm with offices in Boca Raton and New York, NY, specializes in developing targeted Internet marketing solutions, exceptional creative executions and solid branding and media buying strategies that give clients a competitive advantage. Our core capabilities include brand development, creative, packaging, digital marketing, print advertising, media planning and buying, TV and radio, public relations, website design and development, email marketing, social media marketing, and SEO.